Different vectors for skin and SMAS redraping are useful in order to achieve an efficient and natural face lift. Our technique fulfills the ROTATION+ADVANCEMENT concept described by R. MILLARD for cleft lip repair. In the cure of a double chin pelican’s neek the SMAS is rotated up and in ward, the platysma is advanced to ward the mastoïd area and pulled back wards after being freed. The superficial anatomy we find useful is very simple. In the fronto temporal area, the SMAS and skin are treated as a composite layer : the dissection is performed below the galea until a frontier placed 2cm above and parallel to the zygomatic arch. Below the temporal area, skin and SMAS are dissected separately. SMAS most useful and solid part is the parotid area ; SMAS is thin and fragile in the anterior cheek area. Dissection below the SMAS without entering the parotid gland is possible in most cases and safe – because there the facial nerve runs deep. Platysma and parotid SMAS are in the same surgical layer : thus a plane of dissection below this complex structure is both possible and safe – while the superficial jugular vein and the great auricular nerve must be carefully preserved. Their exact position is well known, and easy to detect prior to making any incision. Facial fat components may be useful as subdermal fat, naso labial fat, submalar fat pad or detrimental as jowls fat, neck fat, supra platysmal fat in the neck area. Liposuction with a 3mm canula is the best way to retrieve non useful fat compartments – prior to any dissection. Midline division of platysmal bands is not mandatory and no incision should be made – except in exceptional neck difformities. Platysmal bands are the consequence of muscle contraction and not for muscular laxity. Midline pull (corset platysma plasty as advocated by Joel FELDMAN) (7) is a nice technique but unnecessay in most cases : upward Rotation of SMAS and backward advancement of lateral border of the platysma is generally sufficient to redrape the neck. Volumetric enhancement during face lift is not achieved by biplanar face lift : only in the zygomatic and malar area is it useful. The central part of the face : perioral, lips, chir, naso labial folds have to be separetely augmented by any mean favored by the surgeon. The strongest attachement of divided SMAS is in the pretragal area and the subzygomatic line. Plication of the SMAS in any direction is an elegant trick but with no solid attachement to a fixed point of the face. Facial retaining ligaments (as advocate by FURNAS) (8) have to be cut in order to have a good facial redraping without distortion ; an extended sub skin dissection is mandatory. The biplanar face lift has seveval targets, and as cach technique, it does nof fulfill all of them. Skin redraping has to be done in a large scale, from temporal fossa (thus we always use a high temporal incision) toward the neck and the peri mastoid area. Limited skin dissection (« minilift ») may be useful in limited and well selected cases. Extensive skin redraping has the advantage of a good distribution of skin, with no concentration lines by exaggerated pull trough too short scars. Thus we use a mild liposuction though a tiny incision in the front of the ear lobe ; this liposuction is performed below the mandibular line and the submaxillary area. – skin redundancy is corrected by the peri auricular skin resection in the desired amount. redraping mostly along a 45° vector directed toward the mastoid and occipital area. This area has to catch the light. It is mandatory in order to fulfill this goal to relocate the submal fat pad attached and sitting on the SMAS, below the skin. The proper vector to do this is to follow the direction of the zygomatic major muscle and to slide the submal fat pad toward the infra orbital area and the bony malar eminence. This is why it is advisable to cut the SMAS until the zygomatic major muscle is visible. This area is scarcely in the focus. But we think that it is part of the facial rejuvenation when the SMAS in relocated along this structure like a curtain detached in the front of a window, the SMAS in some aging patients is falling down, and should be reattached in the zygomatic arch area. In my opinion there is no good face lift which does not include a temporal upward rotation : moving up the face and blocking the elevation below the zygoma is an artistic and surgical non sense. Elevating the temporal area below the galea allows a lateral browfil, gives the patient a youger appearance. But only the mastoid incision (horizontal or oblique or Z plasty) allows a perfect neck skin redraping. The scar is more acceptable than residual neck skin redundancy or a neck which appears articifially tight. A biplanar face lift can not enhance volumes in the central face. Only the zygomatic and malar area benefit by the rotation and elevation of the parotid and cheek SMAS. In the beginning of th eighties we used SMAS strips. But with time, some irregularities become apparent because SMAS is a composite structure with muscle fibres, fat cells, fibrous tissue. Some results are still remarkable and each year some younger authors rediscorver a new trick in SMAS strips grafting. The strips need to be inserted in addition with fat grafts especially in the perioral area and the cheek hollowness. Repeated fat grafts seen to work magnificently ; new fillers are also well tolerated like polyglactid acid « (Newfill) » uneasy to use but bery stable and efficient – despite the pain during injection, even under local anesthesia. – Frown lines in the front, rhytides in orbicularis area benefit from botulinum toxin A. Nowadays, we rarely perform an endoscopic frontal lift ; we simply insert an elevator through tiny incisions into the skin, scratch the corrugators muscles from below and control the position of the instrument by a finger on top of the skin. – Blepharoplasty is performed at the end of the face lift. – Chemical peel is performed as a secondary procedure, by a qualifed dermatologist, who judges the best way to do it. 4 Betadine shampoo ; no hair cut removal or even tyed back : just comb wet hair. 8 Skin undermining may be continous in the neck area (R. MILLARD) (11), enter the lips beyond the nasolabial folds (V. MITZ – Madrid oral communication) and freeing the arcus marginalis. The eytent of skin undermining depends on each case. Limitation of it is a nice trick. But rotation of the skin flap has to be achieved without any distortion. 9 SMAS entering is done through a tiny hole in the pretragal infra zygomatic space. Elevating the SMAS with a forceps with a 2cm excursion is a good sign of SMAS laxity. If no laxity is found, an horizontal Smassectomy , below the zygoma is performed. If the SMAS is perfect (5% of our cases), we just perform a skin lift. The SMAS flap is cut vertically along the tragus down to reach the anterior border of the external jugular vein. The platysma is freed in front of the vein, and transected horizontally 7cm below th mandible with control that the anterior border of the platysma has been reached and will cut. But hair shampoo to remove the blood clots with saline water. Clean sheets in the bed with roll put behind the back part of the neck. 16 Then after cure routine for home and stitches removal. – When the planned procedure is graft to the naso labial folds (which is done through an intra nasal approach) you should not undermine the skin in the nasalfold area. – Use succion drains which may be responsible for iatrogenic hematomas but at least these take out 20 to 60cc of lymph and blood on each side. – Do not use fibrine glue. We share the some amount of complications and incidents as any other medical colleagues. Hematomas : giant hematomas occur in 2% of our cases : agitation, hypertension, error in positionning the succion drain, post operative skin massaging are the main causes. I do not agreewith pitanguy’s opinion that aspiration of the hematoma and compressive bandage may cure this. I would prefer to reoperate in the operating room, reopen the wound, wash and coagulate a small perforating vessel aften found in the temporal, jugal or mastoid area. Skinslough: always conservative treatement, and no effort to excise, or suture again. The best surgeon is the one who is prepared to let time handle the problem. No treatment for 6 months : 95% of these cases recover spontaneously. Facial fasciitis : we described this condition as a subvcutanous fibrous contraction, Dupuytren disease like. 5% of our cases have a significant recurrence of skin deterioration. We accept a touch up after one year post operatively ; sometimes with minimal fees, when the deterioration is of low grade in order to make the patient knowing that is skin situation is unpredictable. Most of the surgeons doing face lift use a biplananar like type of face lifting precedure. Our results have been rewarding with last 25 years ; the number of patients grow and our pupils now regularly perfom this procedure, out of many cases only one patientdid suit us. her son said that there was not enough difference seen for the money paid ; the patient decided to recover her fees instead of being reoperated. 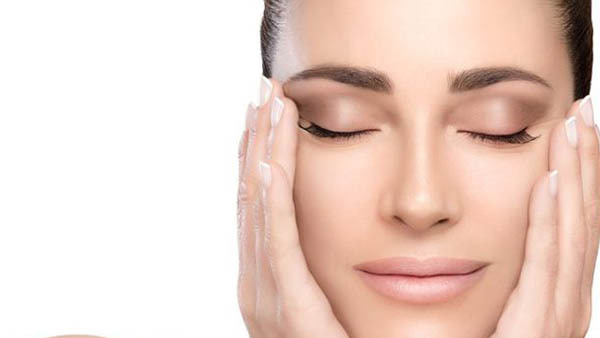 A face liftings procedure in our hands takes no longer time than 21/2 hours. Most of our patients are still very happy with their result even after 10 years. Biplanar face lift procedure including skin undermining and a SMAS platysma flap treated as separate layers is still our procedure of choice. The concept of rotation advancement is of valuable interest in both layers dealt nevertheless with different vectors in order to relocate in depth and redistribute in surface. But who knows the more can accomplish the less.